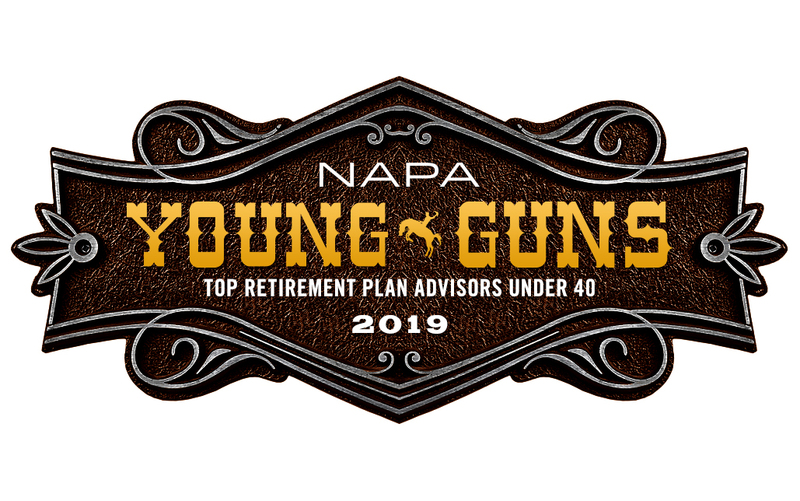 ARLINGTON, VA – The National Association of Plan Advisors (NAPA) is pleased to announce NAPA’s 2018 Top Retirement Plan Advisors Under 40. Established in 2014, this year the list is drawn from an incredible pool of nearly 600 nominations provided by NAPA broker-dealer/RIA Firm Partners, vetted by a panel of senior advisor industry experts based on a combination of quantitative and qualitative data submitted by the nominees. These “Young Guns” are widely seen as the future – and in a growing number of cases current – leaders of the retirement plan advisor industry. While each year’s nominations contain an inspiring pool of potential candidates, due to both the size and quantity of qualifying advisors this year, we have expanded this list to include 100 advisors. The National Association of Plan Advisors was created by and for retirement plan advisors. Membership is also open to other retirement industry professionals who support the interests of plan advisors. NAPA is the only advocacy group exclusively focused on the issues that matter to retirement plan advisors, and is part of the American Retirement Association. The American Retirement Association, based in the Washington, D.C. area, is a non-profit professional organization established to empower retirement plan professionals who are dedicated to building a better retirement for Americans. More information about NAPA is available at napa-net.org. Additional information about the NAPA 401(k) Summit is available at www.napasummit.org.